Welcome to Angle Theme, flat design from another angle. A multi-purpose, ultra-flexible, fully responsive WordPress theme. 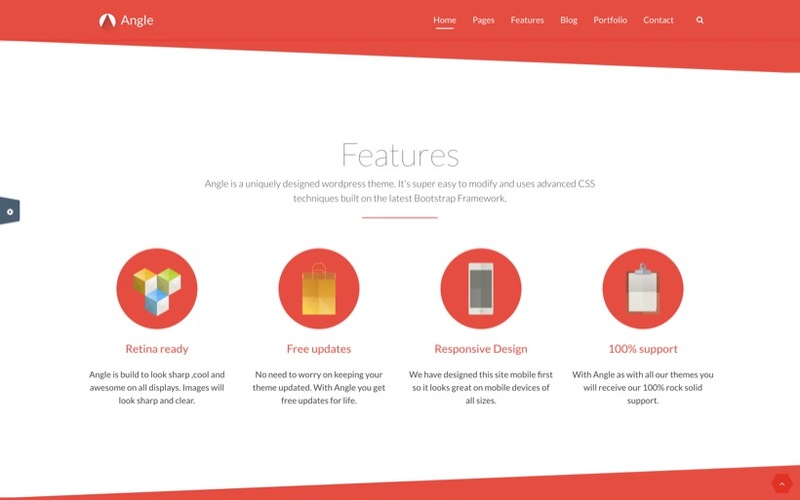 Angle is the Ultimate Boostrap Flat Theme with unique design that you can use to make any kind of web site. Layer Slider plugin included (worth $15).